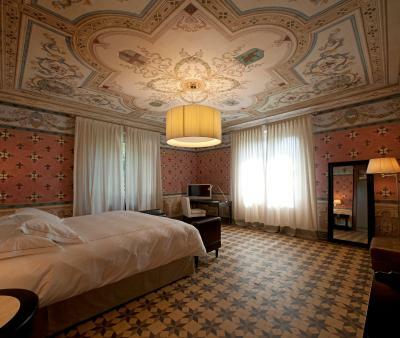 Lock in a great price for Villa Pattono Relais & Spa – rated 9.3 by recent guests! Friendly and helpful staff, cosy atmosphere, beautiful surroundings and views, nice spa and pool. 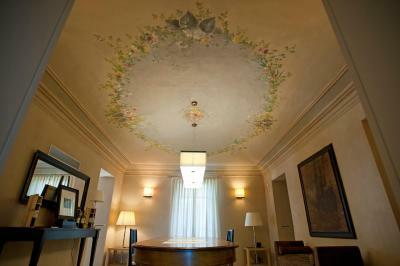 The terrace room was beautiful with painted ceiling and a comfortable bed. Every detail was made to make it very comfortable. Including robes & spellers to use while at resort. Breakfast was delicious and a great assortment of items. Pool was a nice way to spend an afternoon. Pool side service was also great. Staff was amazing and so helpful with restaurant and winery tasting reservations. It felt like you were staying at a home not a hotel. Scenery was breathtaking. Great rooms decorated in style. Beautiful views from our suite. Good breakfast. Half a bottle of their wine as homage. Loved the relaxing spa. 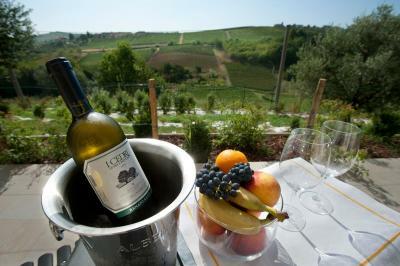 Great location halfway between Asti and Alba. Excellent views!! 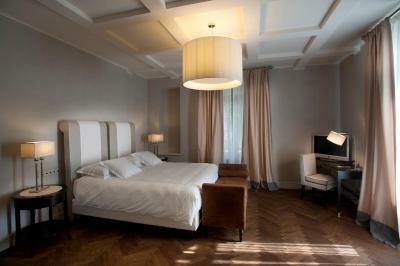 Spacious and nicely decorated room. Confortable and cozy sitting areas. Excellent stay in a Nice building. Everything was really good organised and provided. Le cadre magnifique et tranquille, la piscine, le spa au top il propose même des massages trop bien et Le petit-déjeuner une merveille! soggiornare in villa d'epoca è un gran pregio e in camera ho trovato una bottiglia di vino offerta dalla struttura. Villa Pattono Relais & Spa This rating is a reflection of how the property compares to the industry standard when it comes to price, facilities and services available. It's based on a self-evaluation by the property. Use this rating to help choose your stay! 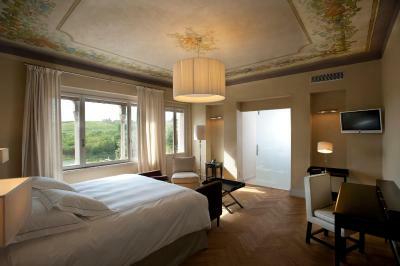 One of our top picks in Costigliole dʼAsti.Boasting a swimming pool with views of the vineyards and a spa, Relais Villa Pattono is set in the Piedmont countryside in Costigliole d'Asti. It features a hot tub, a furnished garden and a terrace. Wi-Fi is free throughout. 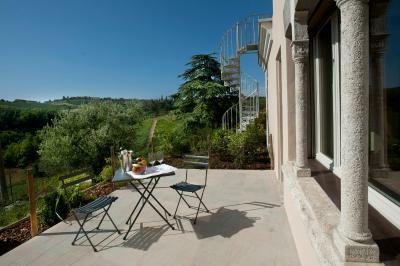 Having been recently renovated, the rooms offer elegant modern furnishings with either a balcony or a terrace overlooking the surrounding hills. They include a flat-screen TV with satellite channels and air conditioning. At the Relais a sweet and savory buffet breakfast is prepared every morning on the ground floor. It includes hot and cold drinks, local cold cuts and cheeses. The property can also arrange helicopter tours, leaving from the adjacent helicopter pad. A bar is open daily from 10:00 until 20:00, and it is also possible to buy locally produced wine from the property's cellar. 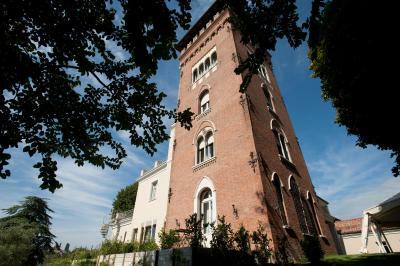 It is easier to reach Villa Pattono by car and Asti is only 9.3 mi away. Alba, popular for its truffles, can be visited with less than a 25-minute drive. 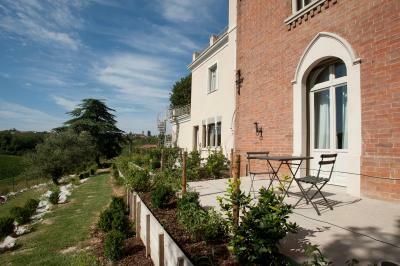 This property is also rated for the best value in Costigliole dʼAsti! Guests are getting more for their money when compared to other properties in this city. 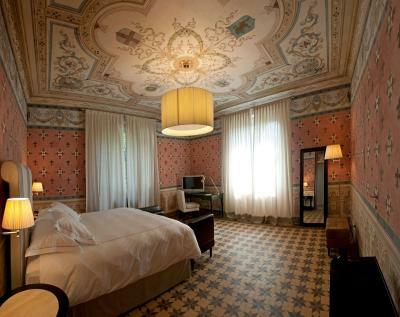 When would you like to stay at Villa Pattono Relais & Spa? 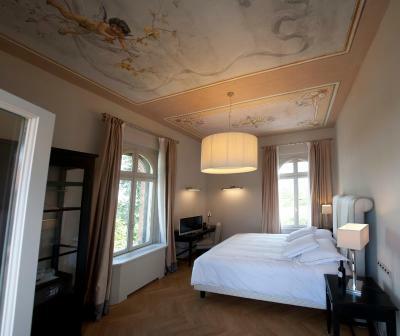 Offering views of the surrounding hills and garden, this larger room has frescoed ceilings, air conditioning, a flat-screen TV with satellite channels, and a mini-bar. Offering a balcony with views of the hills and vineyards, this suite features a main bedroom and separate living area with satellite TV and a mini-bar. This split-level suite features a kitchenette and dining area on the ground floor. It has a raised sleeping area in the attic. 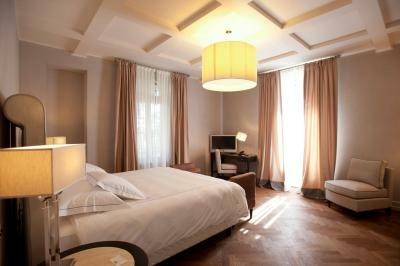 Split on three floors, this spacious air-conditioned suite includes free Wi-Fi, satellite TV and mini-bar. 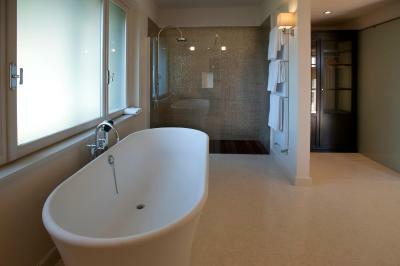 The bathroom has a spa bath and hairdryer. 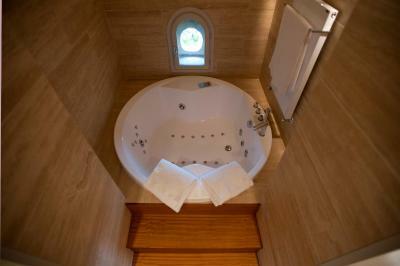 House Rules Villa Pattono Relais & Spa takes special requests – add in the next step! ATM card Other Villa Pattono Relais &amp; Spa accepts these cards and reserves the right to temporarily hold an amount prior to arrival. Villa Pattono Relais & Spa accepts these cards and reserves the right to temporarily hold an amount prior to arrival. Please note that when using a navigation system, you should enter the following address: Strada Drotte, Costigliole d' Asti. Check-in after 21:00 must be arranged with the property in advance. 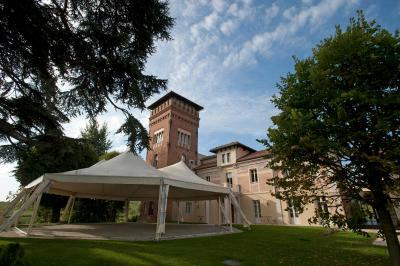 Please inform Villa Pattono Relais & Spa of your expected arrival time in advance. You can use the Special Requests box when booking, or contact the property directly using the contact details in your confirmation. The window of the spa was still broken and dirty. While overall quality was fine, our room interior design lacked character - no decorations which would complete it or underline its belonging to Piedmont wine region. No complimentary water in room also was a strange surprise. The spa was locked during the day and you had to go up to ask for it to be opened. Just inconvenient. No welcome drinks as reservations said. The area downstairs was closed. At 3:00 when we checked in and never reopened. No restaurant at hotel and none within reasonable walking distance. This meant you had to drive every evening and the restaurants we visited were fairly average. Also the car in the hotel closed at 8 pm which meant that once you got back after dinner there was nothing to do.